← Here Comes Friday the 13th! Earnings season kicks off. First quarter earnings season officially kicks off today. And though Friday the 13th isn’t normally considered lucky, we expect this earnings season to be another strong one, driven by solid global economic growth, robust manufacturing activity, a weaker U.S. dollar, and the benefits from the new tax law. Consensus expects S&P 500 Index earnings to increase 18% year over year, with increases in all 11 S&P sectors. As a reminder, this week’s Weekly Market Commentary previews earnings season in more depth. Reports ramp up next week when about 15% of consensus S&P 500 firms will be reporting. 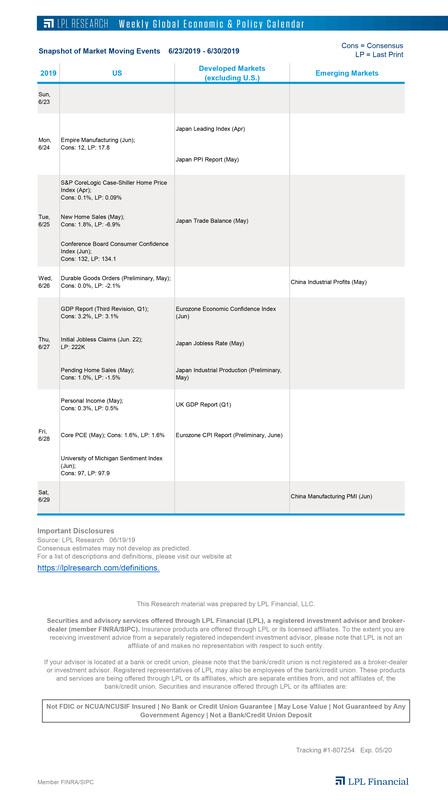 China data disappoints. China released both trade and new loan data overnight, and both came in below expectations. Trade was the bigger miss, with a deficit of 29 billion yuan versus estimates of a 181 billion yuan surplus. Imports increased more than expected (14.4% versus estimate of 12.0%), but exports were the main driver of weakness, as they fell -2.7% versus expectations of an 11.8% gain. Exports to the United States were down 5.6%, which could have to do with U.S. businesses adjusting due to tariff fears, though exports to the European Union (-7.0%) and Japan (-3.7%) were also lower. It should be noted though that the timing of the Chinese New Year holiday can lead to distortions in Chinese data this time of year (their last monthly trade deficit was in February 2017), so next month’s data should help give a better idea of whether export weakness was a one-time blip based on seasonal factors, or the beginning of a potential trend. Curse of the presidential cycle. Historical data show that the second year of the presidential cycle has been the most volatile for the S&P 500, particularly within the second and third quarters. But that’s not to suggest you should pull out of stocks. We’ll explain later today on the LPL Research blog.